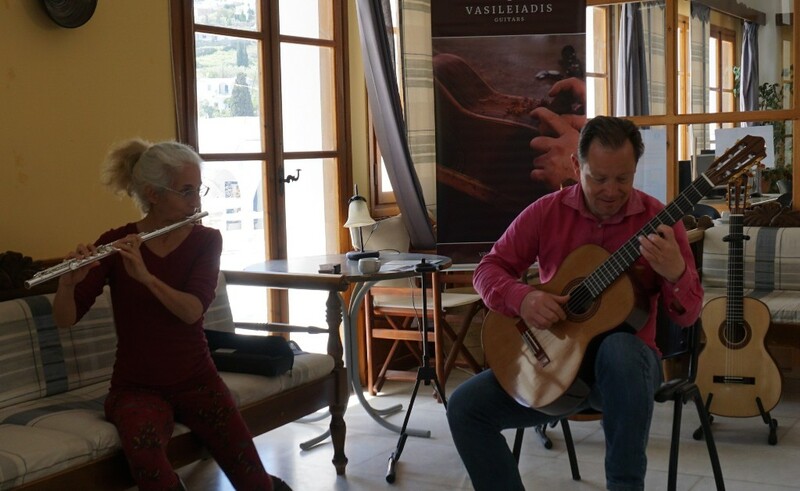 "A little bit more than the guitar you always wanted"
It was a great pleasure to participate in Paros International Guitar Festival 2018. 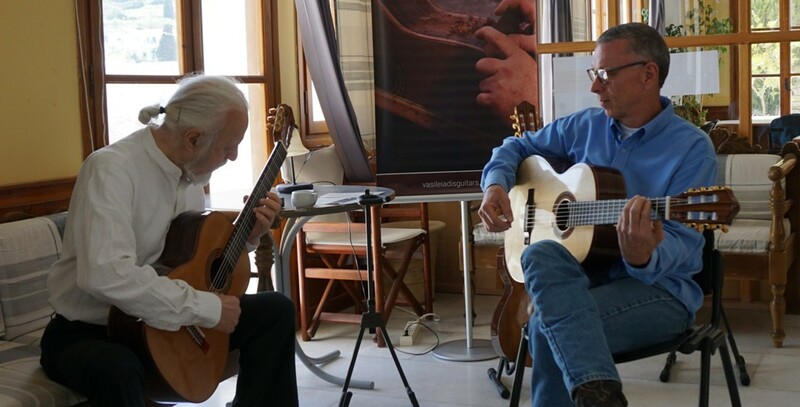 I had the opportunity to meet old friends and to get to know acclaimed guitar players and musicians. 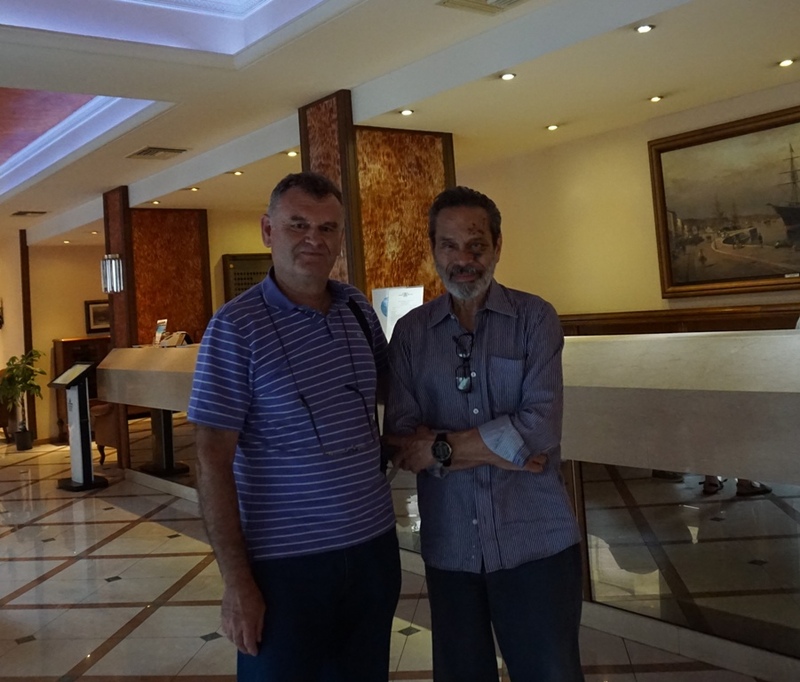 Many Thanks to Iakovos Kolonian and Larry Hammett, the Art Directors of this fantastic event! 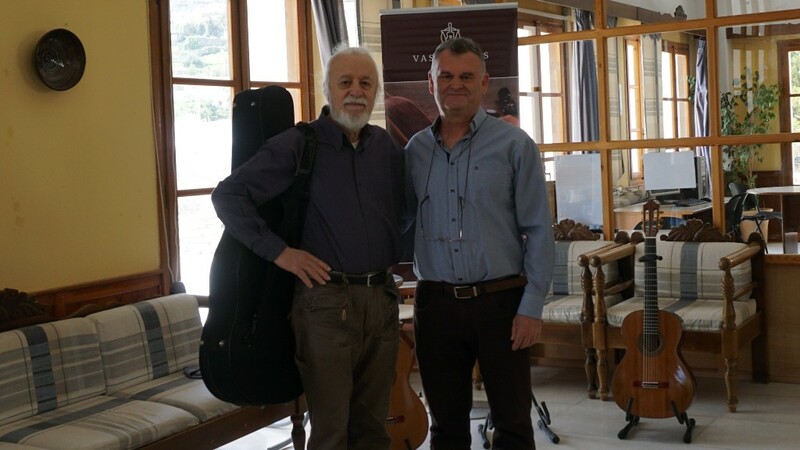 Notis Mavroudis and Larry Hammett... a delightful connection during the festival! 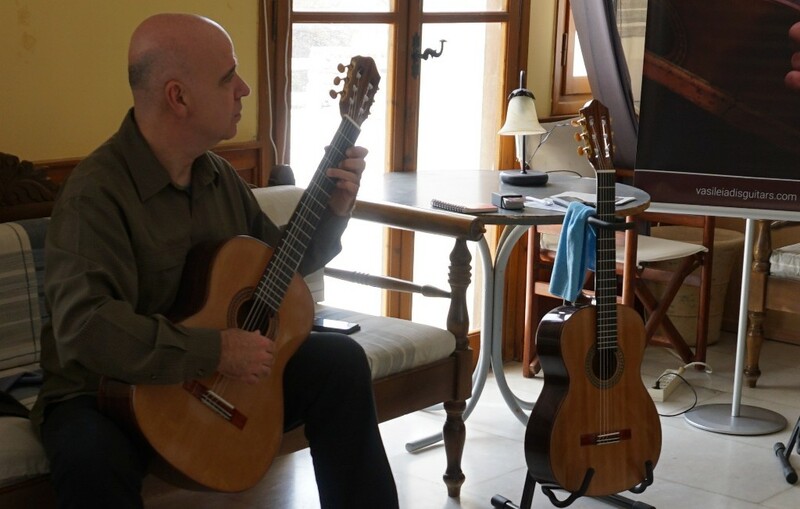 Miranda Arana and Marcelo de la Puebla... a spontaneous duet playing passionate Latin! "A lattice with a 'traditional sound' with of course some extra loudness. 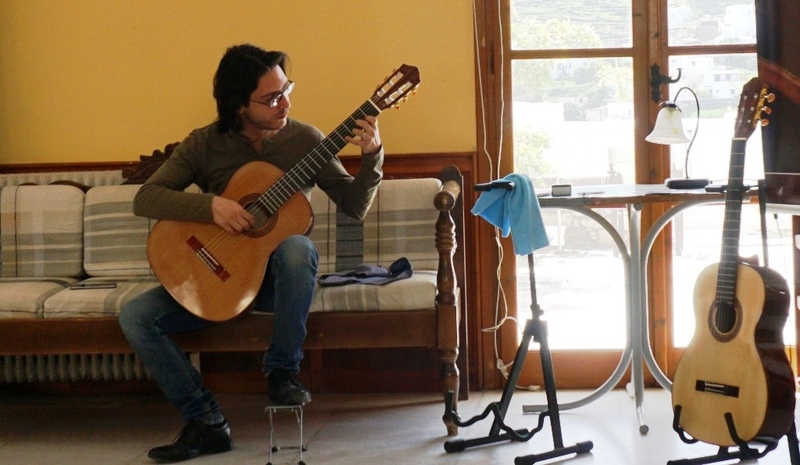 what is amazing is the craftmanship and the balance of the guitar. A great lattice guitar!" 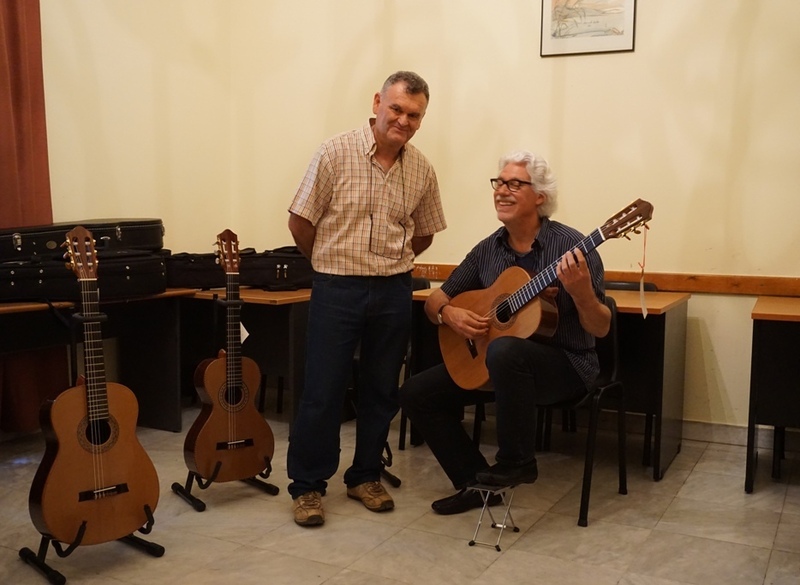 It was a great honor to participate in the 34th Volos International Guitar Festival, demonstrating my latest guitar models. 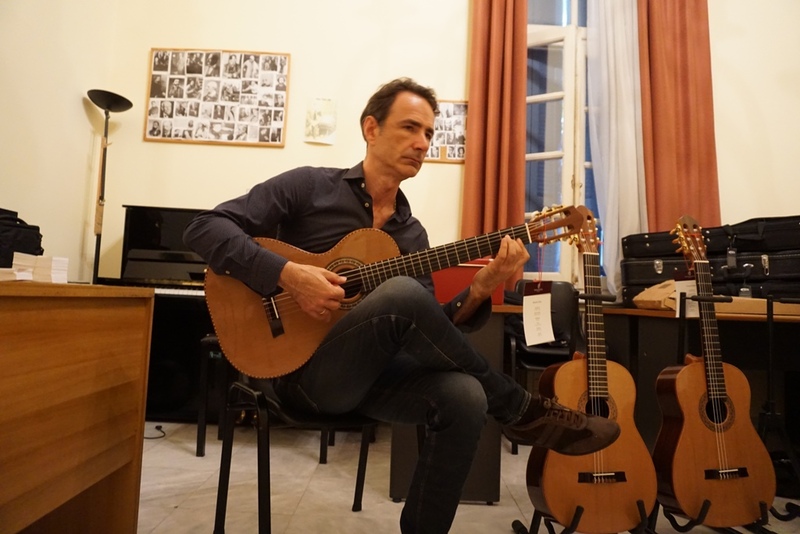 It was also a pleasure to meet those important guitar players as well as the young talents from all over the world. My sincere thanks to Costas Cotsiolis. 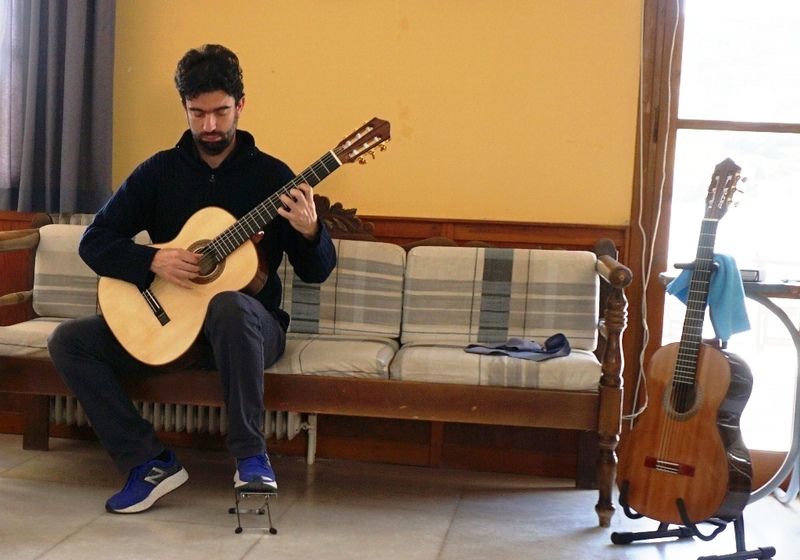 Our Cello Guitar featured in the Liminal Vanguard ensemble at Cine Trianon, performing original score for the Brazilian movie LIMITE, by Mario Peixoto. Voice: Anna Linardou, arpeggione violatar - mandolin: Vasso Dimitriou, guitars - electronics: Giorgos Varoutas, drums: Nikos Sidirokastritis, video: Shoot the Band (shoottheband.org), sound: Giannis Tountas, logo: Vicky Aggelopoulou.